While the menu at Koryo is Cheesecake Factory-huge, and the non-BBQ dishes are strong contenders, the main focus here is the sizzling do-it-yourself spectacle that is Korean BBQ. From galbi and bulgogi to the slightly more exotic pork belly and duck, Koryo is stacked with plenty of grilling options. When you're looking for traditional Korean beef soup (sul lung tang), you only have a few options in Dallas, and LA Hanbut makes for a strong choice. They do the broth right, cooking it until milky white, and topping it with meats (brisket is a popular choice) or dumplings (mandu). The bulgogi soup also gets star or two. Seoul Garden is an institution in Dallas's Korean BBQ scene. 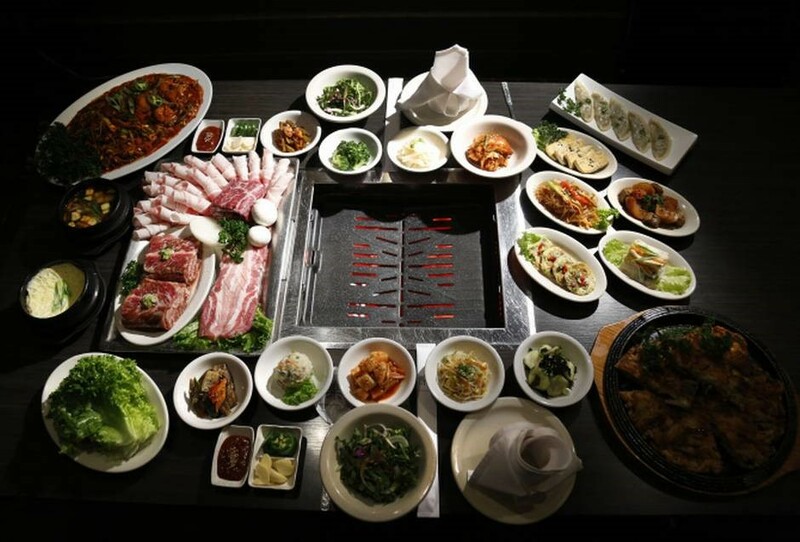 And while tasty grilled meat is the featured attraction here, plenty of favorites like pajeon, bibimbap, jjigae, and naengmyun are the menu as well. If you're going to do the BBQ thing here, snag an order of bulgogi gui, too — a standout on their menu. Korean eatery with a range of traditional dishes plus in-table grill fare amid geometric designs. Counter-serve joint dishing up Central Texas-style smoked meats on butcher paper, plus local beers. Lunchtime brisket, pulled pork, deviled eggs, cobbler & more at classic cafeteria-style joint. 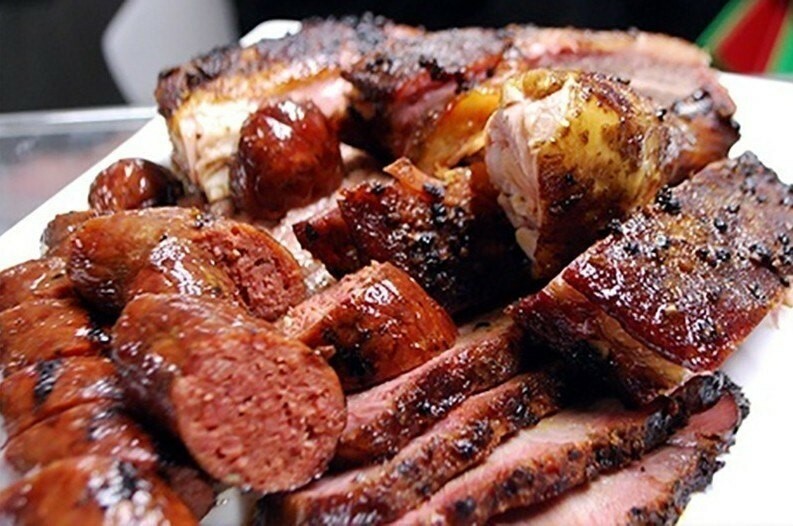 Texas-style barbecue straight from the smoke pit & sides in a rustic, cafeteria-style setup. A 24-carat gold dome sits atop this well-known steakhouse, beckoning diners to enter and discover elegant surroundings and a robust Texas-French menu that showcases USDA Prime steaks and fresh seafood. The restaurant itself features a unique vibe that is Texas at its best, so it's a wonderful place to take out of town visitors. Hearty portions of pepper steak, sirloin, bone-in rib-eye, pecan-crusted Idaho trout, and Dover sole await. Boasting 12 separate dining rooms (some named for famous Texans) and an enclosed courtyard, the restaurant offers a variety of settings, from intimate to spacious. An impressive wine cellar with varietals from around the globe highlights the III Forks experience. The quintessential old-school steakhouse, Bob's Steak and Chop house is traditionally styled with crisp table linens, mahogany booths, and a polished bar. Start off your meal with the mozzarella and poblano stuffed bacon wrapped shrimp or the lobster bisque soup. Then move into the main course with Bob's main specialty, the choice cuts of USDA Prime Midwestern corn-fed beef. Other starters like Maryland crab cakes and a tangy blue-cheese salad whet the appetite for a perfectly prepared rib-eye, porterhouse, or succulent rack of lamb - all served with hefty portions of potatoes and Bob's signature sugar-glazed carrots. Complementing everything are select wines and desserts. Pleasing Dallas locals since 1982, this popular steak establishment boasts inviting decor, comfortable atmosphere, and a variety of remarkable cuts of prime rib, which is king at this great spot. If you enjoy butter-soft prime rib, the Diamond Jim Brady cut is unsurpassed. Other cuts include the English Cut, with three thin slices deftly carved to heighten the rich beef flavor, the California Cut (a small cut for lighter appetites), and the Lawry's Cut, a traditional cut. And if you come with a hearty appetite, don't miss the Dallas Cut, a double sized cut with the rib bone, as served to the Rose Bowl and Cotton Bowl teams All Prime Ribs come with Yorkshire pudding, mashed potatoes and whipped cream horseradish.